Every weekday morning at 6:20, Heather and Aaron post a funny or interesting photo on the Morning Show Facebook page. Your job is to come up with a clever or humorous caption for it. Winning caption is announced at 8:50! 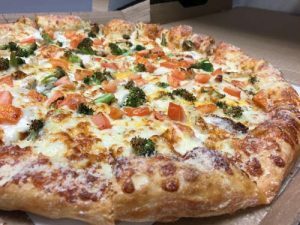 This week we are giving you the chance to win free pizza from Piper’s Mighty Good Pizza in Harbor Springs!